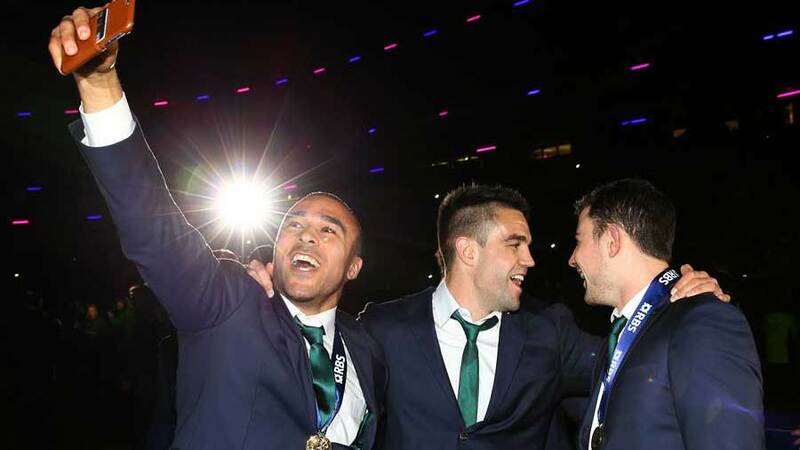 Conor Murray claims Ireland can still improve despite winning their second Six Nations title in as many years. Ireland retained the Six Nations title for the first time since 1949 with a 40-10 victory over Scotland in Edinburgh on Saturday, edging past England to glory. England fell short of the required points-difference buffer despite a 55-35 victory over France, sending the trophy to Dublin for the second-straight season. Murray hailed the impact of taskmaster boss Schmidt in overhauling Ireland's entire approach - and backed the Kiwi head coach to drive another lift in standards before the autumn's global gathering. "We are at a good level anyway, but I still think we can improve quite a lot," said Murray. "Every game through the Six Nations there have been things we have been frustrated with and we haven't executed quite as well as we wanted to, but overall we are very satisfied with the way we have handled this championship. Ireland will be gunning to top Pool D ahead of the likes of France in the World Cup, to tee up a likely quarter-final against Argentina. The perils of finishing as runners-up in Pool D are stark - a potential last-eight showdown with New Zealand, the only major power Ireland are yet to beat in Test action. Head coach Schmidt's analytical and relentless approach raises hopes Ireland can pass the last-eight stage for the first time at a World Cup however, and Murray hailed his wide-ranging impact. "Right now we are going to relax and enjoy what we have done but when it comes to going back to camp and we gather again, we will be looking forward to a World Cup and that is really exciting for us," said Murray. "Constantly through the Six Nations we have performed well, we have played well but there have been a few areas where we know we can do better. "That is quite exciting for us as a team with back-to-back championships now. We know we can get better and push on. Joe is a world-class coach and there is no secret there. The way he has the group organised, it is player-driven as well. "We take on board what he says and we really believe what he gives us and we have huge belief in the squad at the moment. The longer we are together, hopefully the better we will get."